Interviewed by Stephen McDill for the "Mississippi Business Journal"
Stephen McDill of the Mississippi Business Journal interviewed me shortly after the release of "Wiggle Room." We talked about the origin of the thriller's plot as well as the research required in writing a book even when the work is fiction. 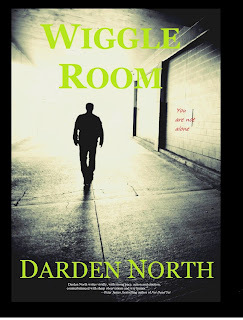 Editor’s Note: Darden North will have his first official signing for “Wiggle Room” at Lemuria Books in Jackson’s Banner Hall on July 20 from 1:00-3:00 PM. The event is sponsored by the Sartoris Literary Group and will also include a headline signing of “Scotty & Elvis” by Elvis Presley guitarist Scotty Moore. Jackson OB/GYN Darden North’s fourth thriller “Wiggle Room” moves quickly from the battlefields of Iraq to the lobby of the King Edward Hotel powered by a rollercoaster page-turning plot written in the spirit of John Grisham and Tom Clancy. After saving the life of a wounded insurgent at the height of the Iraq War in 2006, Air Force trauma surgeon Major Brad Cummins returns to his family in Mississippi, little knowing that the war on terror has followed him home. The story of how a military doctor gets caught up in a life and death struggle in his own backyard, came to North after a conversation with a fan. While not a war novel, the book’s opening scenes unfold at the Balad Air Base Hospital at Camp Anaconda, fifty miles north of Baghdad, an area of the war that North heavily researched. Prior to the U.S. invasion in 2003, the compound was used by Saddam Hussein to train his Revolutionary Guard shock troops. North interviewed a number of physicians for the novel including St. Dominic surgeon Lt. Col. Huey McDaniel who did a rotation through Balad and shared many pictures and stories from the life of a military trauma surgeon. Research has always been critical to North’s fiction. For past novels, he has talked to police detectives, SWAT snipers and fire marshals all to insure he is constructing a scene as authentically as possible. “When you’re writing even though it’s fiction it has to make sense and be reasonable,” North says. In the case of “Wiggle Room” sometimes the truth is indeed stranger than fiction. While his plot was developed long before the recent terrorist bombing of the Boston Marathon, North says the same immigration loopholes that reportedly brought one of the alleged bombers to the U.S. are also exploited by one of his characters. Born in Cleveland and educated at the University of Mississippi, North finished his residency at UMMC in Jackson then started what has become a successful 27-year-old practice at Jackson Healthcare for Women. North’s 2005 debut novel “House Call” observes the deaths of a nurse and well-respected doctor and their possible connection in a fictitious north Mississippi town. 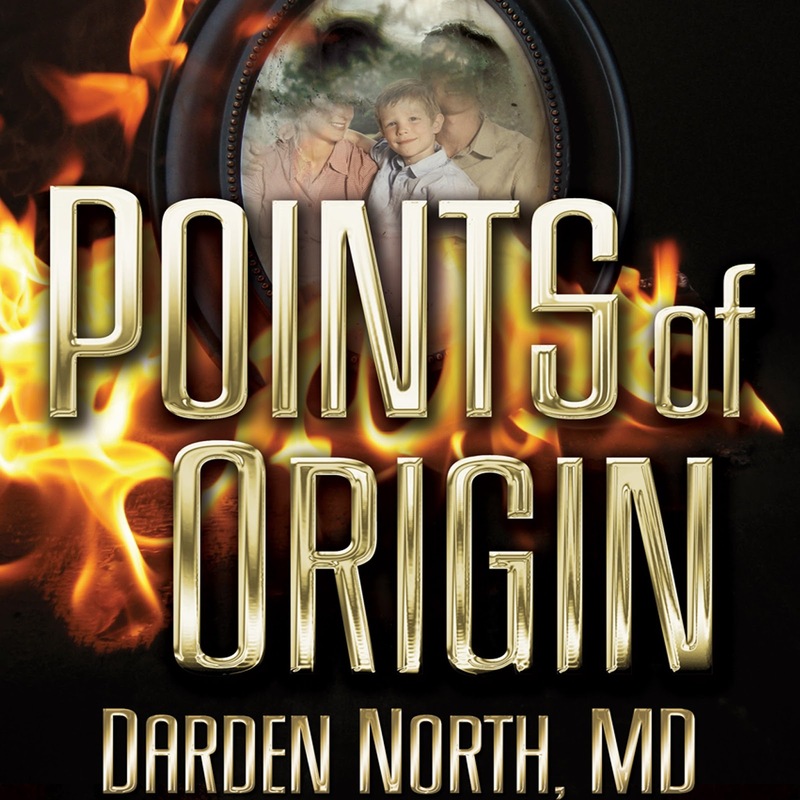 “Points of Origin” published in 2006 tells the story of a small town Delta plastic surgeon that gets caught up in a plaintiffs case. The novel won North a Southern Fiction IPPY award at the annual Independent Publishers Book Awards. North’s third thriller “Fresh Frozen” centers around Hollywood and the fertility industry and he says a screenplay has already been written for a developing movie project. “I think that’s every author’s dream that’s writing commercially,” he says. North compares his typical characters and situations to those you might find in a popular TV medical drama. The background is usually a hospital or medical clinic and the main characters are mostly MDs. The novels stand-alone as far as the plot but some of North’s more memorable characters have resurfaced over the years. Putting thoughts on paper in a creative way and thinking outside of the box are two of the main things North says he enjoys most about writing. When he’s not writing, North still maintains a busy schedule that includes delivering babies and performing advanced surgical procedures with his clinic’s acclaimed Da Vinci robotic systems. An avid outdoorsman and Ole Miss Rebels fan, North and his wife Sally live in Jackson. Stephen McDill joined the Mississippi Business Journal in 2008 after working in radio and television. He is a graduate of Belhaven University and has won awards for his writing and photojournalism from the Associated Press and Mississippi Press Association. Mississippi author and physician, Darden North, will be a Special Guest Speaker on WTNI 1640 AM "The Morning Show" --- June 9, 2009, at 7:35 a.m. Listeners can call in during the live interview at (866)450-8255 to talk with Darden and pose questions of the author about his three novels: FRESH FROZEN, POINTS OF ORIGIN, and HOUSE CALL. Toll free number listener call in # 866.450.8255 . Radio hosts for the 15-minute interview are Rev and William Sackett.